On September 1, 2018, IPAM cofounder Dr. Tony Chan will become the third president of King Abdullah University of Science and Technology (KAUST). According to KAUST’s Board Chairman, H.E. Khalid Al-Falih, “His [Chan’s] outstanding record as a leader in higher education and innovation will help us accomplish our ambitious goals in this important time of national transformation.” Chan has dedicated nearly ten years as President of HKUST. 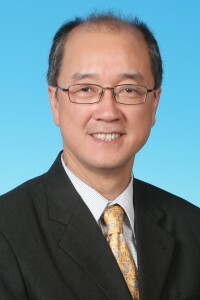 Prior to HKUST, he served as Assistant Director for Math and Physical Sciences at the US National Science Foundation and as Dean of UCLA’s Division of Physical Sciences. IPAM is grateful for Chan’s leadership in establishing IPAM in 2000 and as a Board of Trustees member since 2009. Read more regarding the appointment here.